It’s still too early to tell how successful Apple Pay is or will be, but Bank of America’s customers are rushing to test the waters. Some 800,000 B of A customers added 1.1 million cards to Apple Pay between October 20 and the end of 2014. The number isn’t mindblowing, but it’s pretty respectable, considering that Bank of America has about 16.5 million mobile banking customers altogether. The company’s breakout of Apple Pay adopters in its fourth-quarter earnings signifies it expects Apple’s new service to become an important player in mobile payments this year. 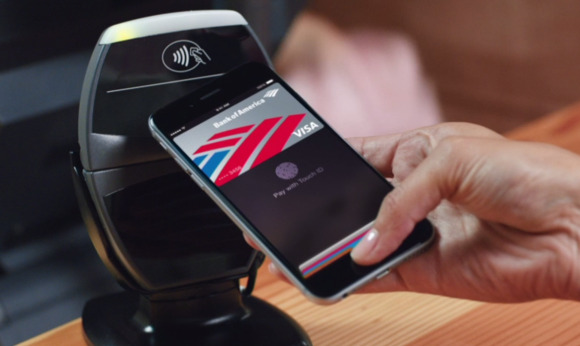 Bank of America has been heavily promoting Apple Pay with TV commercials and ATM screen ads. Chase has also been pushing Apple Pay with a TV campaign, but we haven’t seen numbers that would indicate if the promotional effort has been a hit or miss yet. Apple Pay still isn’t available to all banking customers or credit card holders, though the list of participating debit/credit card issuers is growing. Apple as of last month supports cards that represent 90 percent of credit card transactions in the U.S., and reportedly has plans to expand Apple Pay to Canada soon. Apple is also adding more retailers so people who want to use Apple Pay will have more stores to shop at. Customers at Save Mart Supermarkets locations, which include 217 Lucky, Save Mart, and Food Maxx stores in Northern California and Nevada, can now use Apple Pay. The grocery chain’s registers now also accept Google Wallet and Softcard payments. Apple Pay is growing. With a slow, careful rollout, no one expected it to immediately replace cash and cards as the main way shoppers pay. The service is also limited to iPhone 6 and 6 Plus owners—and while those phones have been selling like they’re going out of style, it’s still a fairly limited customer base. We expect to hear more about Apple Pay’s adoption rate when Apple reports its first quarter earnings January 27. 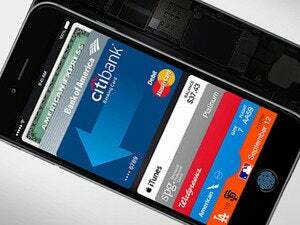 In the meantime, tell us: Which stores or banks would make your life easier if they would just add Apple Pay already?